Solar PV is a fantastic investment for business owners. Even with reduced subsidies, the financial savings can be significant. 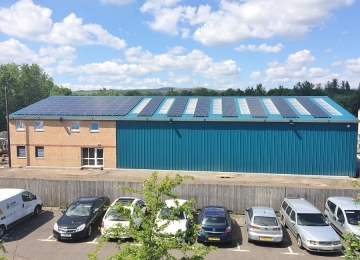 And alongside the environmental credentials that the investment will give to your company, it is well worth looking at solar as a valuable asset. 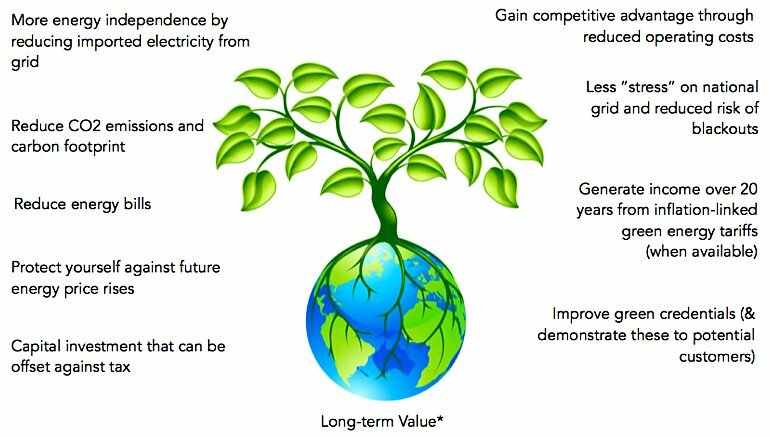 * At Ceiba Renewable we believe in Long-term Value. We carefully select our suppliers for their quality in order to avoid the false economy of being the cheapest on price but then risking lower performance and higher maintenance costs as a result. Simple! 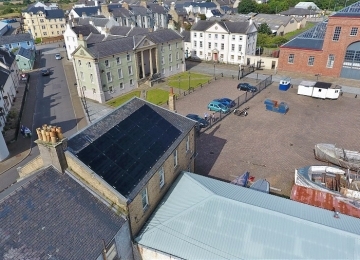 Due to solar PV’s flexibility, scalability and low maintenance costs it can be suited to most buildings. The Ceiba Renewables Way (link to page) is at the core of our service to our customers. We believe in installing solar systems that are designed to perform consistently high for decades. In order to deliver real long-term value for our customers we only recommend components manufactured to the highest quality, so that as energy prices rise, the performance of your solar system remains high. Every business is different, whether it’s your operations, goals, people, etc. At Ceiba we understand this and we can be adaptive to your requirements. We want to empower Scottish businesses to convert to high quality solar and keep the cost down as much as possible and to do this we believe in collaboration. So if you have your own in-house electricians or a preferred electrical contractor who you would like to use for the electrical installation, then we can be flexible to utilise their skills. If you have plant and equipment that could be used then we can factor this in to keep down the installation costs. On the other hand, if you’d prefer our skilled installation teams to handle everything then we are more than happy to do so! There are a number of things which will make a system more or less expensive which we can only ascertain by your requirements and the characteristics of your building. 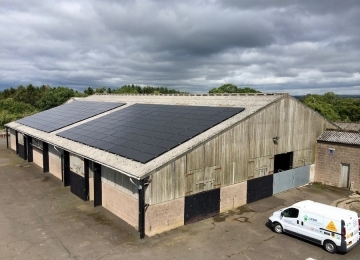 Our solar experts will carry out a technical survey to assess your building, talk to you about your requirements and present to you the various options and technologies available. Following the survey we can provide a custom solar solution. This will involve a quote or quotes if several options are required, together with estimates of performance and payback periods. The design and costs are agreed and the switch to solar is underway. If required we will undertake the planning and pre-approval applications to the Local Authority and DNO (i.e. Scottish Power or SSE). 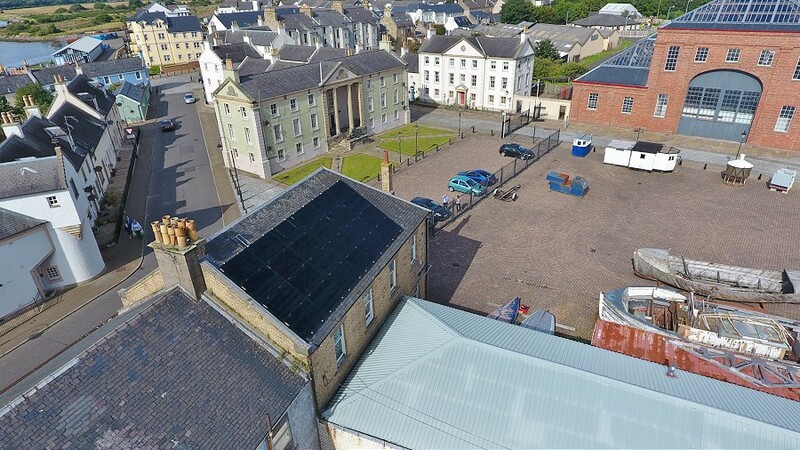 The permissions can take up to 3 months to receive, importantly we will receive an Offer Letter from the DNO detailing their costs – Scottish Power charge a minimum of £650, SSE a minimum of £260. 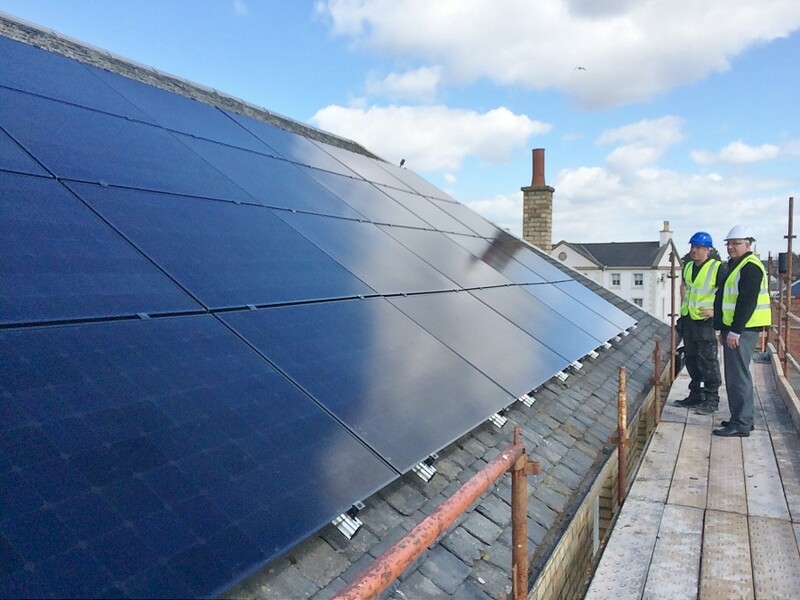 The requirements the DNO or Local Authority may place on your solar installation may affect your payback period so it’s important to review all of your costs to ensure the investment is still within your budget. We plan the installation for minimal disruption to your business and to ensure that the installation is carried out to the highest standards of quality and safety. Depending on the size and dynamics of the installation, the installation can take 2 or more days to install. 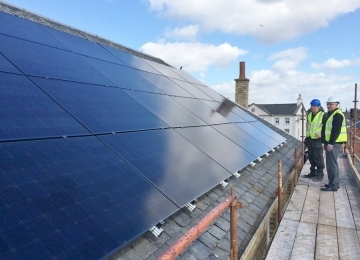 Once installed we will commission the solar system in line with DNO requirements. With your solar PV system generating power we will help you to complete the necessary paperwork and we generate the certificates and commissioning forms to be submitted to the DNO. Our team will talk you through the installed components, set up your login details for online monitoring and within a couple of weeks we will supply a handover pack detailing warranties, schematics, roof plans and other necessary information. 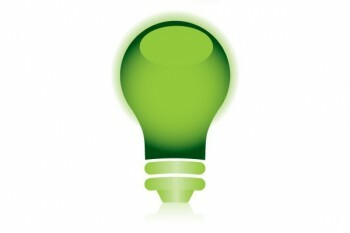 One of the great aspects of solar PV over most other renewable technologies is the relatively small cost of maintenance. We can work with your own in-house maintenance engineers to advise on a regular maintenance plan, and periodically provide specialist maintenance as and when required that won’t cost the earth.